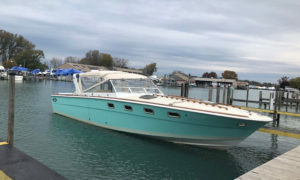 Check out the newly listed Magnum Sport Cruiser, recently uploaded to the brokerage section of Magnummarine.com. Must see custom order turnkey boat built by Magnum Marine Boats is in like-new condition. Click here to view additional Magnum Models for sale or click here to submit a listing of your own. Boat currently located on Lake St. Clair, Michigan.